Please use the Contact Form at the bottom of each page on this website if you would like further information. We are closed for all major holidays and also for approximately 2 weeks, starting just before Christmas, until just after New Year’s Day. For the hobbyist, small projects, or home lawn and garden, please visit our retail website at: www.silverfallsseed.com.  © 2019 Triangle Farms Inc.
Informational website on different species of grass produced for seed in Oregon.